Parking is available in the grounds of the property. Garage may be available at additional cost. 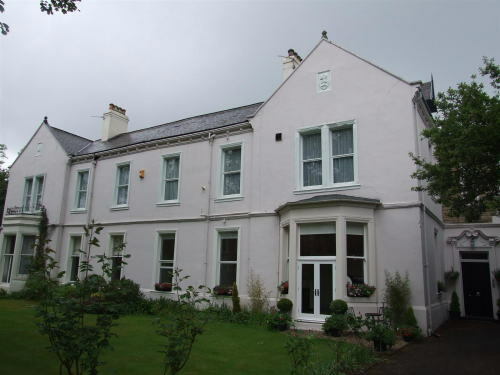 The property is ideally located close to all the local amenities that Gosforth has to offer, and main transport links are plentiful and easily accessible whether by foot, road, rail or air. Especially of note are the bus (North Road) and Metro (Regent Centre) links to Newcastle and beyond. Furnished and available immediately to a professional or discerning resident who seeks to live at an enviable address, at a fantastic price. Early viewing essential to appreciate this property We are delighted to offer this one bedroom attic floor apartment, situated in the heart of prime Gosforth. Offered at an amazing price of only £595 per calendar month - AND NO EXTRA CHARGES!! Howard House was built during the late Victorian era as a private dwelling for an affluent local family, and is now subdivided into luxury apartments, which are now marketed for sale in excess of £250,000. This attic-style apartment offers comfortable, easily-manageable accommodation, just off Gosforth High Street. Access to the building is via a grand, oak panelled reception hall, and an equally grand staircase leads to the first floor. A private spiral staircase then leads to flat. Benefitting from gas central heating, it briefly comprises: kitchen, bathroom, living room, and the double bedroom which has a small balcony which also serves as part of the fire exit.